Working on a better body posture? This MTG Style Posture Cushion is here to help you! It helps you to sit in a perfect S-shaped curve while fully supporting the arms and thighs and disperses the back pressure to make you sit more comfortable. Perfect for everyone working in an office and sitting at the desk all day! 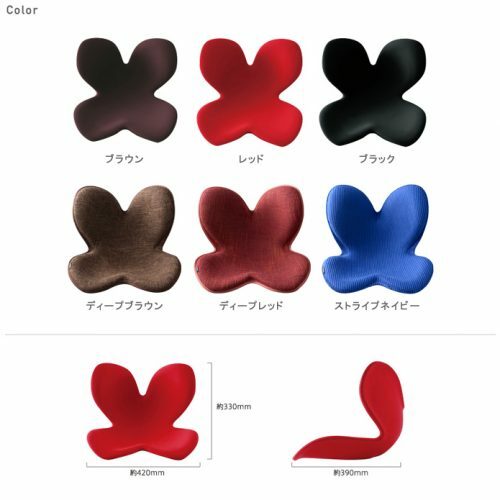 With this cushion, you will help your posture, while sitting extra comfortably! Choose from 6 colors! and send your order to our Japan warehouse! We will deliver to you!